The studio is a 70sqm sized exercise room with natural light, plants, cork flooring, changing rooms, fans and a mirrored wall with a linen curtain. 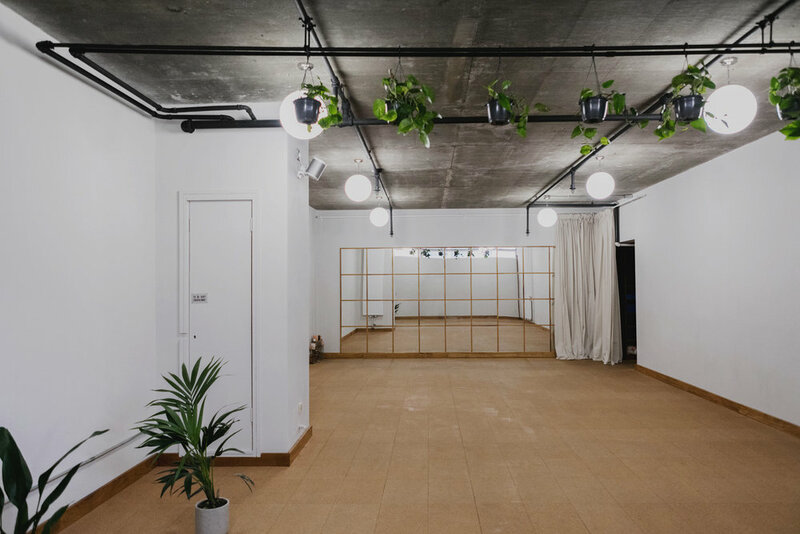 The studio fits 25 mats comfortably and is fitted with SONO sound system and Philip Hue bulbs that allow all users to set the perfect ambiance for any class or meditation. We offer flexible timings for bookings outside of our in-house yoga schedule which you can find here. We offer a discounted off-peak booking rate for weekdays between 7am - 22pm.